30 border designs with corners. Actual widths range from 1½" to 3½". 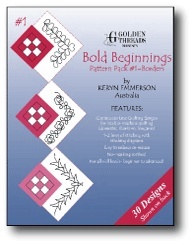 The continuous line quilting designs have 1-2 lines of stitching and can be used by hand and machine quilters. 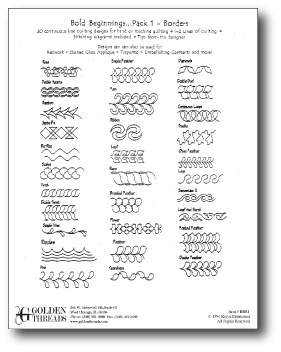 Packet includes stitching diagrams and helpful tips from the designer.